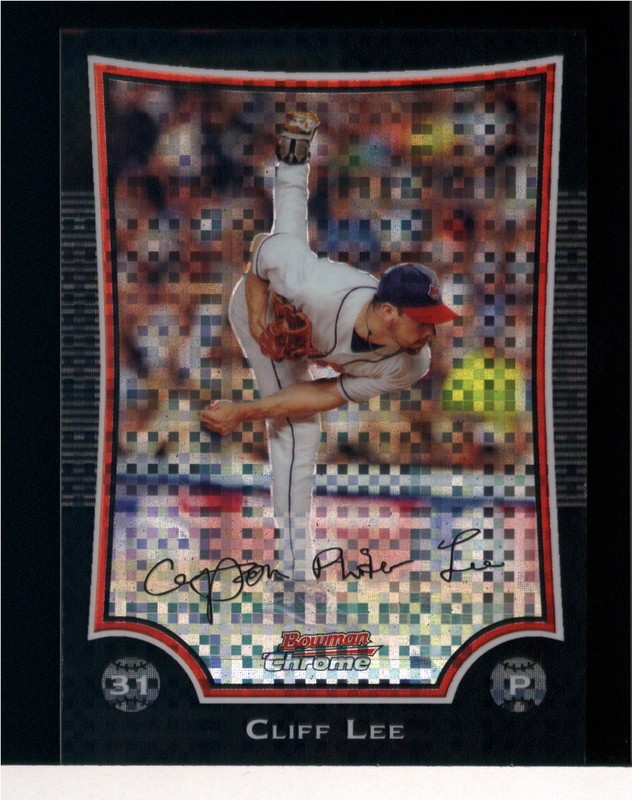 Good: I really like the design and the large complement of refractors inserted throughout the product. Bad: Adding the roster World Baseball Classic players was a bit of overkill as we've already seen this cast of characters in several tops products released earlier in the year like 2009 Bowman Baseball hands 2009 Topps Chrome Baseball. 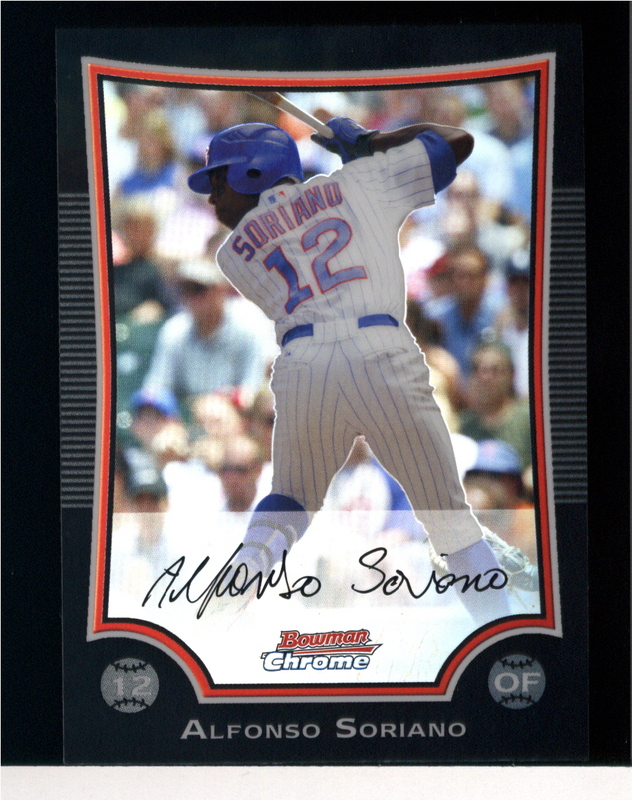 The Bottom Line: What can I say, it's Bowman Chrome Baseball. On that basis alone it's hard not to like it. 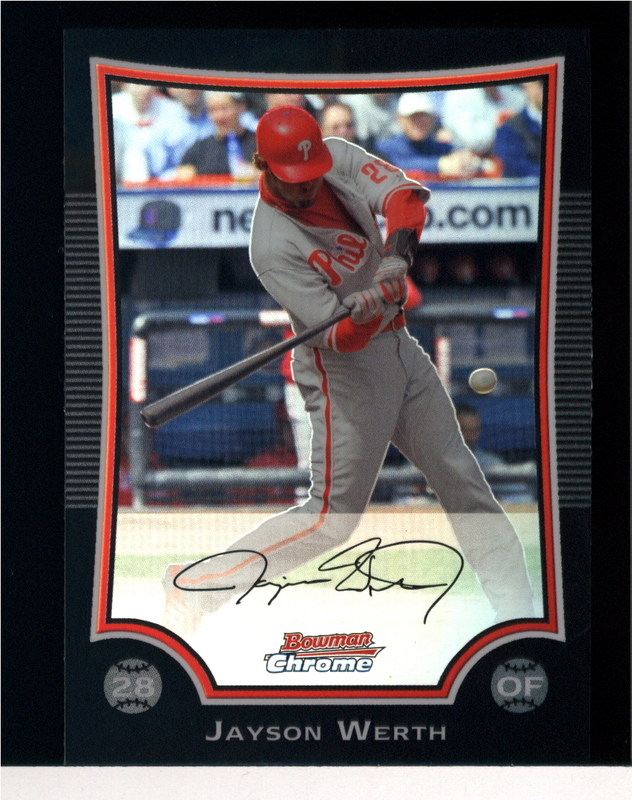 It certainly is nothing we haven't seen before but in the case of Bowman Chrome that is not necessarily a bad thing. One thing that would've made this set much stronger would be the inclusion of more A-level and B-level prospects and less WBC players. The design of the set is very modern and sleek looking that is much more attractive than the 2008 Bowman Chrome Baseball set. The WBC and prospect cards look particularly nice, as do all levels of refractor parallels. My personal favorites are the gold and blue refractors. The photography of the set is pretty average, but the rest of the presentation makes up for it for the most part. 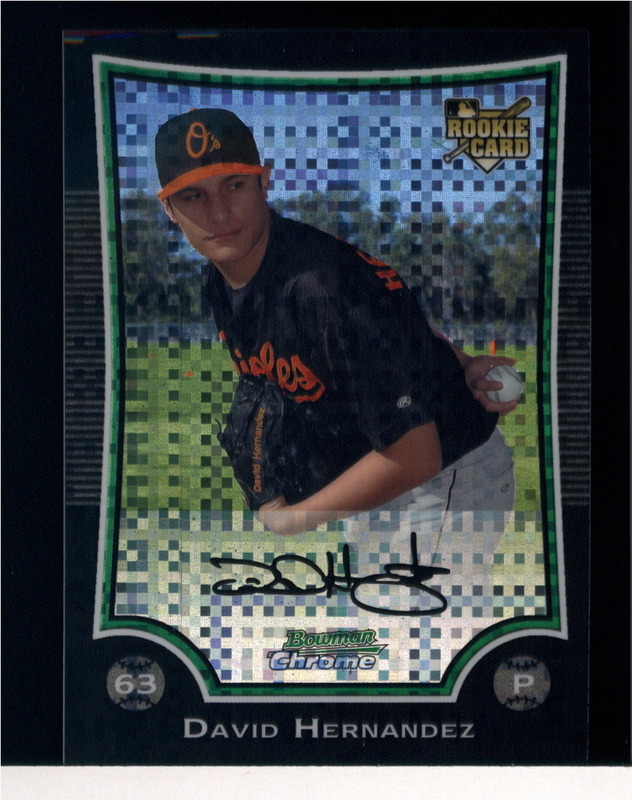 Plus, Bowman Chrome isn't the kind of set where card imagery matters a whole lot. 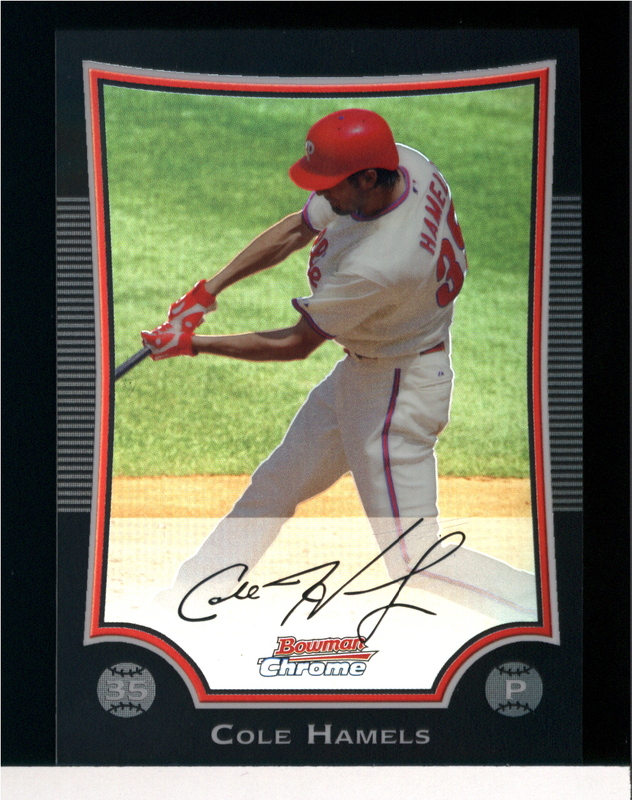 The 2009 Bowman Chrome Baseball checklist is made up of four main components. First you have the current MLB stars and semi-stars (red bordered cards). 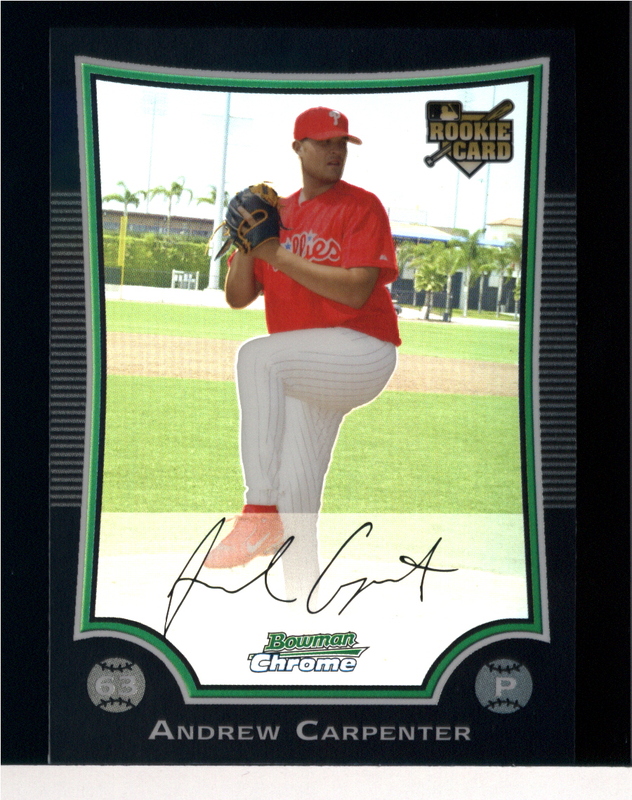 Joining them are this year's batch of MLB rookies (green bordered), as well as a selection of notable 2009 WBC players (white bordered) and the perennial selection of first year minor league prospect cards (white bordered). 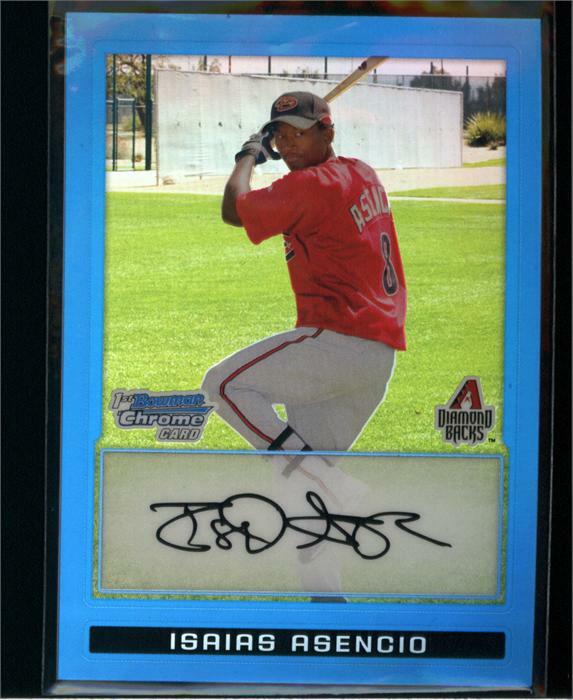 My main drive with the 2009 Bowman Chrome Baseball checklist is its overemphasis on WBC players. Considering the fact that Bowman's bread and butter is prospect cards, I was hoping to see them rise to meet last year's prospecting challenger Razor Entertainment by fielding an elite roster of players for this year's Bowman Chrome set. While there is definitely some upper tier prospect talent packed into 2009 Bowman Chrome Baseball, the inclusion of the WBC players dilutes the overall checklist of prospects, as well as the amount of prospects you can expect to pull per box. I really liked the inclusion of the WBC star insert set in 2009 Bowman Baseball, but have since gotten my fill of world baseball classic themed cards through repeated inclusion in several other Topps baseball products. One thing, it's hard to deny is that Bowman Chrome is a solid value. That's somewhere between $50 and $65 per hobby box, 2009 Bowman Chrome Baseball packs a nice array of hits and rookie cards at a very budget conscious price. It's good to know that even with a floundering economy prospecting is alive and well. The beginning of the summer culminated my six-month run of avid (and excessive) prospecting. Since I have backed up considerably from the prospecting game, but still enjoy a prospect heavy products like Bowman Chrome immensely. Because laid-off prospecting for several months on behind the eight ball as to who the latest batch of blue-chip prospects are. But that is part of what I like about breaking a new prospect product, and Bowman Chrome packs plenty of information on to the backs of each card, which helps facilitate the process of learning who's who immensely. If you too have prospecting tendencies I believe that you will find enough right about the set to warrant the purchase of a hobby box or two of it. - 1 Autographed Bowman Chrome Prospect Card Per Box! - Every Autograph Is Signed Directly On-Card! - 110 Never-Before-Seen Bowman Chrome Prospect Cards! AUTOGRAPHED PROSPECT CARDS - 1 PER BOX! 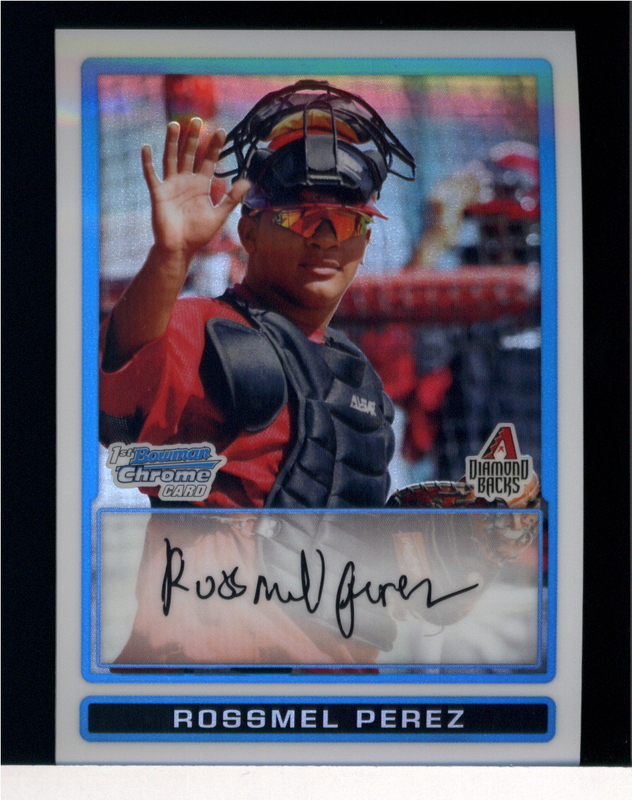 22 Non-Major League Prospects who did not appear in 2009 Bowman Baseball are numbered BCP91-BCP112, show off their MLB uniforms for the first time, and personally sign each of their cards! - Super-Fractor: HOBBY EXCLUSIVE! 1 OF 1! ALL-NEW PROSPECT CARDS - 2 PER PACK! 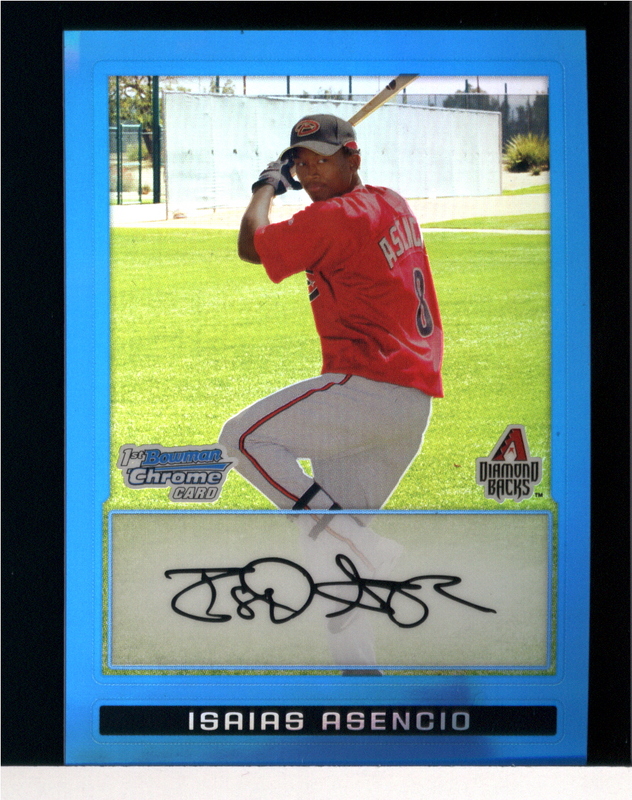 110 Prospects who did not appear in 2009 Bowman Baseball! 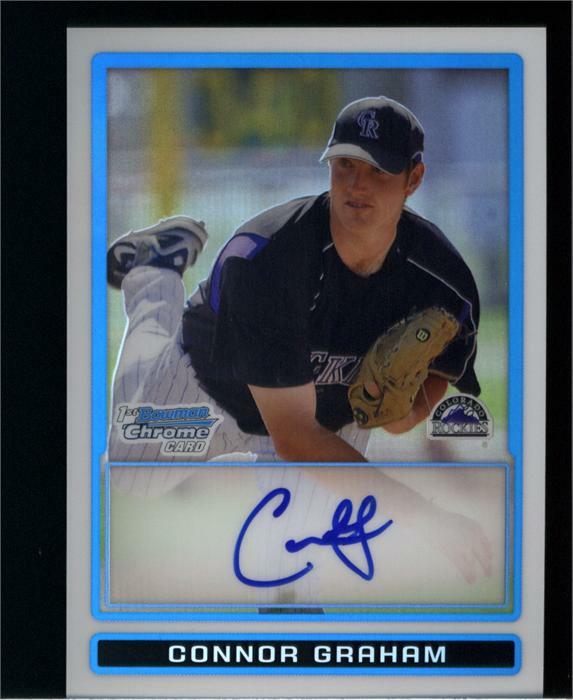 70 players are numbered BCP128-BCP197 and shown in their MLB uniform with a "First Bowman Chrome Card" logo. 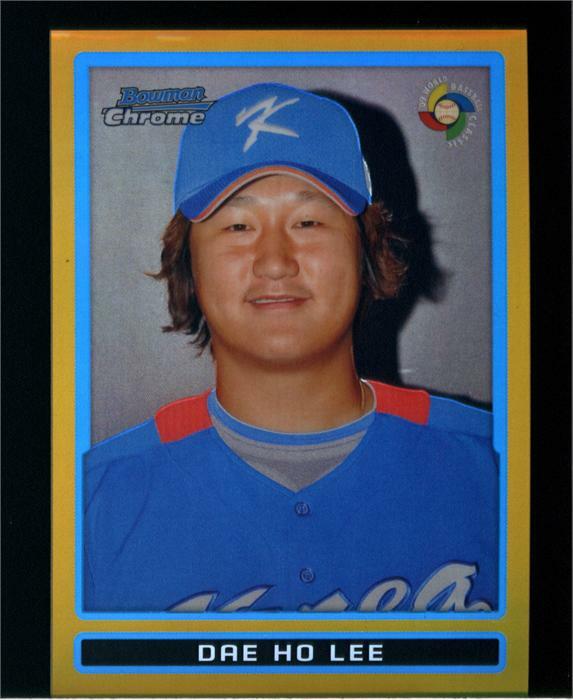 40 players in their 2009 World Baseball Classic uniforms, numbered BCW21-BCW60 also appear! BASE CARDS - 2 PER PACK! VETERANS - 190 sensational Major League Baseball® players! PARALLEL CARDS - 7 PER BOX! PRINTING PLATES - HOBBY EXCLUSIVE! All 220 players from the base set and 110 Prospect Cards are featured on 4 different framed printing plates. 1,320 one of one plates in all! 4 Framed Printing Plates of each Autographed subject. 80 Autographed 1 of 1 plates in all! 2009 Bowman Chrome Baseball Box 5 HOBBY Box Lot Freeman RC Auto?